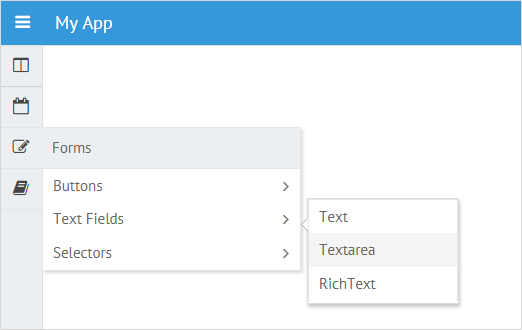 Webix Sidebar is a Tree-based component which is used for creating menus with hierarchical structure. Sidebar can be collapsed into a navigation bar with only icons of the menu items visible. On hovering an icon, a popup with the related item is shown with its sub-items. On clicking a Sidebar item, either the related content is shown in the right part of the screen or selectable sub-items are displayed. 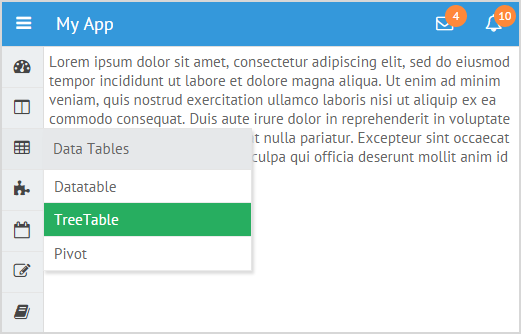 titleHeight - (number) sets the height of the first-level menu items in the popups. 40 by default. multipleOpen - (boolean) allows expanding several menu items at a time. The Sidebar widget provides a set of predefined options that allow you to achieve the desired Sidebar configuration. 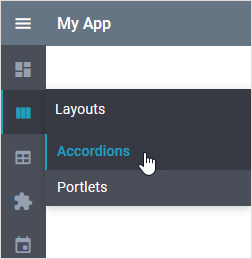 You can choose the position to place the sidebar to: right or left one with the position property. By default a sidebar is rendered on the left. It's possible to adjust the height of the first-level menu items in the popups that appear when you hover icons in a collapsed sidebar. Use the titleHeight property for this purpose. The default value is 40. Sidebar can load data from various sources in different formats. You can find more information in the Loading Data into Tree article. The Sidebar widget can have as many nested levels as you need. The number and configuration of levels depends on the loaded data set. The Menu button allows collapsing the menu items into a vertical navigation bar with icons. In this state menu items will be shown by hovering the mouse pointer over the icons. 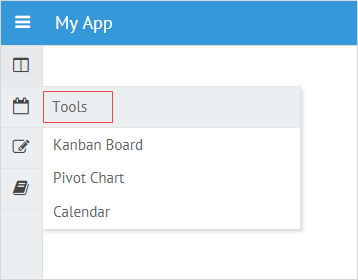 Let's create a layout with a toolbar and two columns. We'll place a button on the toolbar and put a sidebar in the left column, the right column will serve as a template for some content that could be shown on an item's click. The applied button uses the "menu" icon from the Material Design Icons collection. Check the Icons with UI Widgets article to learn common rules on the usage of icons. 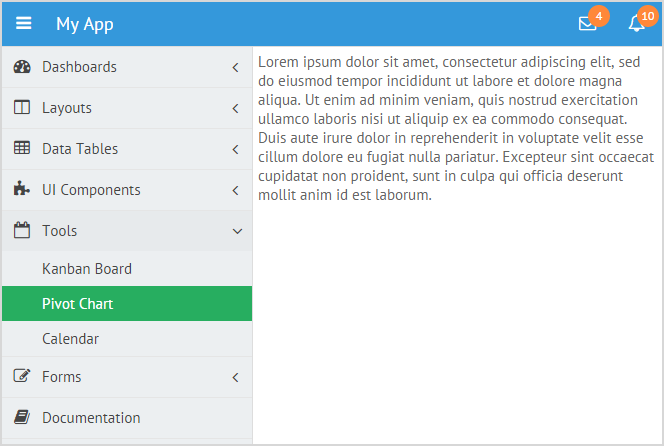 To collapse/expand the menu on the button click, we define the click handler in which we put the toggle method. If you have not checked yet, be sure to visit site of our main product Webix html5 library and page of sidebar js product.